If you want a party or wedding more special and memorable, clear span tents are the first option. From 100 people tents to 500 people party tents, you can find any size tents here. 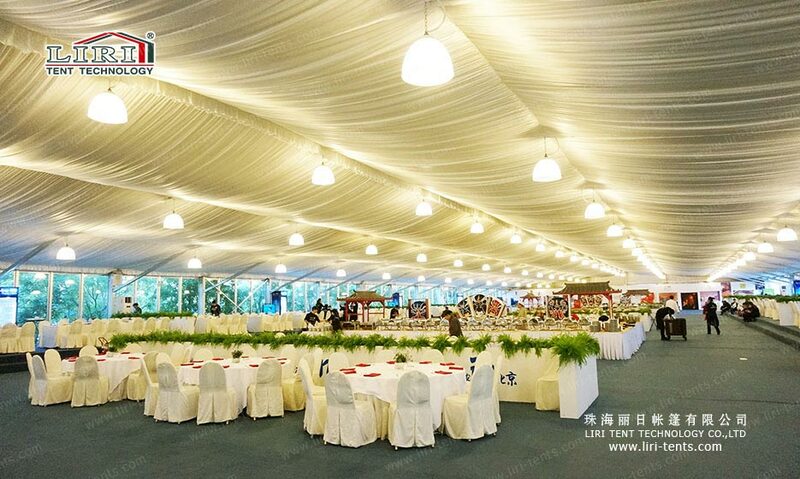 Liri Tent always provides you with high-quality tents and helps you to make your big event more impressive. As the first, biggest and the best tent manufacturer in China, we offer various sizes and styles high-quality outdoor aluminum structure tents and own 12 patents in design till now. With over 20 years of experiences, our tents have gained great reputations in over 120 countries. Moreover, there are many options available for us to create a unique party.